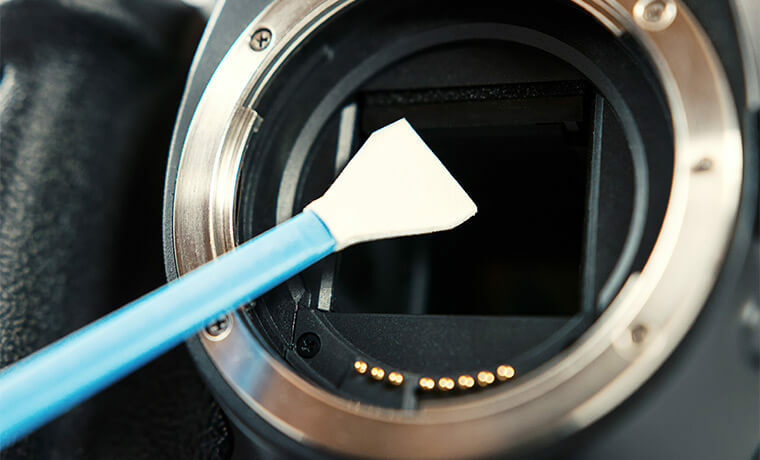 We clean digital camera sensors in house same day or next day. We charge one flat rate and keep on cleaning until it is done (Other stores will charge by the number of passes it takes to clean or the type of sensor). We also clean the mirror box and rear lens area to keep dust from resettling. You are provided with a before and after test shot on your card to prove that the sensor is perfectly clean when done. *Please provide a memory card, lens, and fully charged battery when bringing your camera in for cleaning.